Vybz kartel’s son Likkle Addi is re-launching his musical career with some new songs and this is the first release after being absent for couple years. Likkle Addi pays homage to his father’s 2009 hit song titled “Dollar Sign”. This witty new release have everyone speculating whether or not Vybz Kartel is writing his son’s music. The teenage dancehaller sings about not depending on his parents(father Vybz Kartel and Mother Teresa Palmer aka Shorti) too much even though his parents have money, says “hussle fi yo own every dog get yo bone”. “When yo si me and mi bredda we a di big man dem” These brothers(Likkle Addi and Likkle Vybz) going to be big in dancehall, they coming of age! 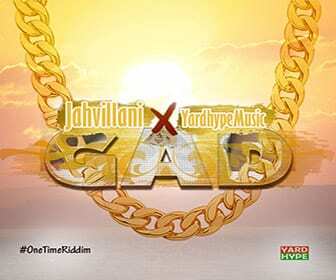 on the other hand Likkle Vybz is set to release “Fully Gaza” featuring Vybz Kartel in a couple days.